School is starting this week for our kids, I’m a little sad and a little excited and I think my kids feel about the same. The excitement of new clothes, new lunch boxes, new shoes and seeing old friends is enough to rally their spirits though, leaving summer behind won’t hurt for long. I love the return of routine but I will miss the long lovely days of summer. Something I will be celebrating this year is having both kids pack their own lunch. Yes I JUST said that they are BOTH packing their own lunch and I will be removed from the equation. No more “you packed me a yucky lunch and I don’t like it so I didn’t eat it” or worse the silent version of that that gets left in the lunch over the weekend to molder away. And the worst part of making lunches is the absolute brain drain that occurs when confronted with making lunches, I just freeze up. I have taken a pro active approach to lunches this year. Coupled with this new “kids pack their own lunch” mandate–er privilege? I have stocked our pantry with things they like to eat and that I can get behind like Newman’s Own Organics goodies, Sea Snax, Nature’s Bakery bars (YUM) and lots and lots of Natural Value Waxed baggies to use when needed. I also bought them each their first very own store bought lunch box and had them monogrammed. Beyond making a sandwich or packing leftovers they’ll need to get fresh fruit, pre-chopped veggies and then choose their side dish and a snack for snack time. I do hope that taking me out of the works here and putting them in charge will be the key to lunch box calm. And since I am firmly behind this plan I started thinking maybe some other parents might possibly be in the same boat I was last year. Chatting with a few moms I quickly realized that I am not the only one, lunches confound everyone. 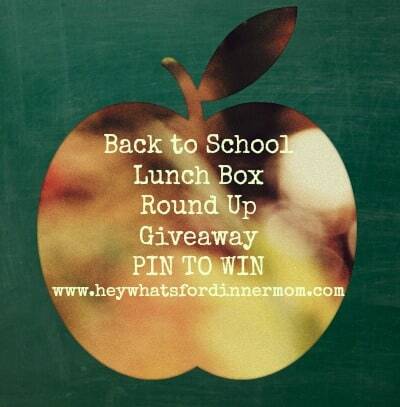 So I put together this giveaway full of wonderful school lunch goodies that will make parents happy and kids even happier. They are all delicious, fun to eat, easy to pack and good for you. Except the waxed paper bags, don’t eat those! Newman’s Own Organics–Pretzels–Ginger Snaps–Dried Fruit and they said they’d throw in a surprise or two–you. are. so. lucky! How can you enter? Oh so many ways–following along on Facebook or twitter–pin the giveaway image–Tweet each day–really so many ways to enter and so many delicious foods for kid’s lunches that you can really get behind! I will be very interested to see how this "leap of faith" succeeds (lol).